"We are coming Tripoli, we are coming," Field Marshal Khalifa Haftar, the military strongman who heads the Libyan National Army (NLA), said in an audio recording posted on the army's Facebook page on Thursday. Haftar ordered his forces to march towards Tripoli, after they took over Gharyan, a town 100 km south of the city. 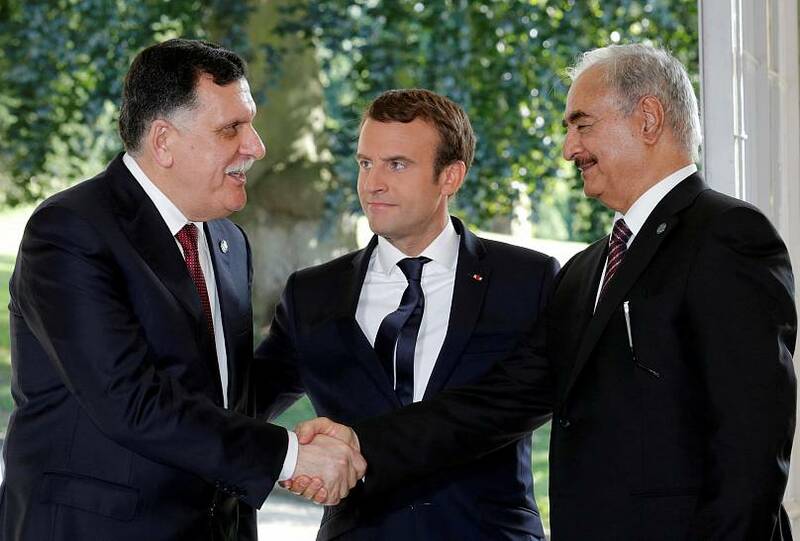 This has led to a real danger of a major face-off between rival militias and the UN-backed government in Tripoli, headed by Prime Minister Fayez al-Serraj. The LNA by now has obtained control of two-thirds of Libya, including almost the entire southern region, known as Fezzan, complete with its oil fields and major population centres. Haftar's order calling for a march on the capital city came a day after United Nations Secretary-General Antonio Guterres arrived in Libya to broker a political process leading to peace. Things took a turn and, fearing escalation, Guterres called on Libyan forces to show restraint. Guterres said on Twitter on Friday morning that he was flying east from Tripoli to Tobruk and Benghazi. "My aim remains the same: avoid a military confrontation. I reiterate that there is no military solution for the Libyan crisis, only a political one," he tweeted. Watch the video player above to see Guterres' plea for military moves to stop. Guterres said later on Friday he was leaving Libya with a "heavy heart" and was deeply concerned after he held a meeting with Haftar. On Friday night, Eastern Libyan forces seized the former Tripoli International Airport on the southern outskirts of the capital, a spokesman said. G7 "strongly opposes any military action"
"We strongly oppose any military action in Libya. Any Libyan actor or faction that precipitates further civil conflict are harming innocent people and standing in the way of the peace that Libyans deserve." The U.N. special envoy to Libya said on Saturday he was determined to hold Libya's national conference on time despite the ongoing fighting. The United Nations is planning to hold a conference in the southwestern town of Ghadames from April 14 to 16 to discuss elections as a way out of the country's eight-year-long conflict. Libya's institutions, divisions and power structures are incredibly nuanced, but here is a broad view of the situation. Haftar saw a campaign through against this rise of Islamist militias in and around Benghazi. It took more than three years to complete and left parts of Libya’s second city in ruins. Affiliates of the self-styled Islamic State group were expelled from Gaddafi's home town of Sirte in 2016 by local forces supported by U.S. air strikes. Oil production partially recovered as blockaders were sidelined, and migrant smuggling networks were curbed under strong Italian pressure. In the east is the House of Representatives, based in the cities of Tobruk and Al-Bayda. 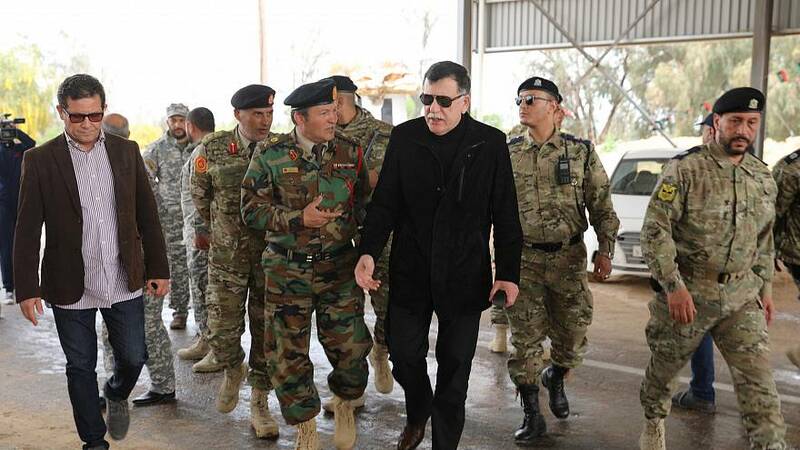 This government is the only one with an electoral mandate and, perhaps more importantly right now, it is backed by the LNA, who are making moves towards Tripoli in a potential power seizure. In the west is the Government of National Accord, based in the capital, Tripoli. This government, headed by Prime Minister Fayez al-Serraj, is recognised by the UN. These two administrations are not the only ones vying for power and control in this oil-rich country. Several militias, mostly in the south, wield considerable influence; many have tribal alliances. Also in the south, minority groups such as the Tubu and Arab tribes fight for control of cross-border smuggling routes. The region is riven with human traffickers from Africa. Over three-quarters of the nation's oil is produced in the east of the country. Oil is, of course, the main source of revenue in Libya so there is resentment as those in the east believe they receive fewer resources than those in the west despite their area being hugely more profitable. What has the UN done recently? Special Representative of the Secretary-General, Ghassan Salamé, and the United Nations Support Mission for Libya (UNSMIL) have most recently stepped up efforts to ensure credible and peaceful elections. Salamé announced a fortnight ago that the National Conference will take place from 14 to 16 April 2019 in Ghadames, Libya. However, Haftar's latest move may throw that into doubt.